Our team at Hog Roast Northallerton recently had a great time locally, catering a fabulous wedding at Thief Hole Cottages in Thornton-le-Moor. The luxury self-catering cottages are in an excellent location and the well-landscaped courtyard and the stunning Yorkshire countryside surroundings are romantically suitable for such an event. 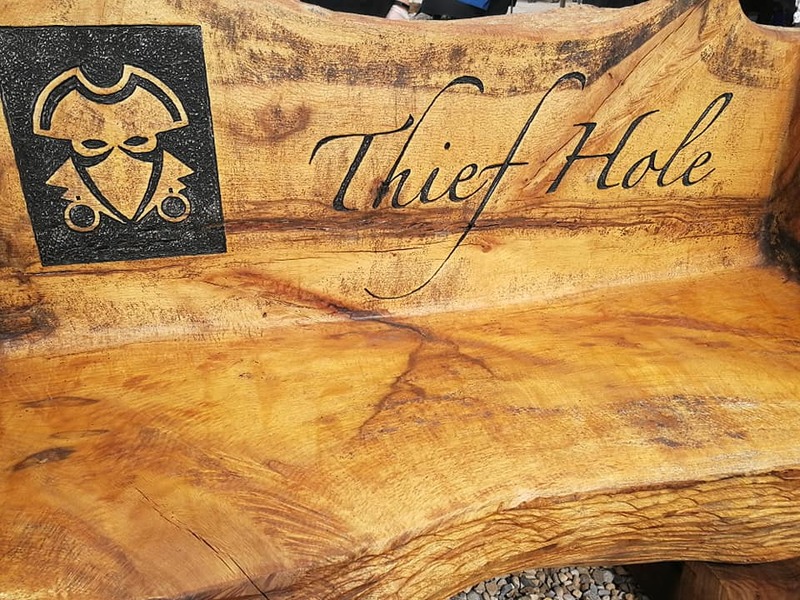 Thief Hole is such an interesting name that we had to find out more about it and it turns out that each cottage is named after a famous highwayman from the area. For this particular wedding, Hog Roast Northallerton was asked by the couple, Darragh and Elesha, to cook some tasty food for their guests in two sittings, so there would be a daytime service, with a premier barbecue including prime sirloin steaks, chef’s own gourmet sausages, our 100% beefburgers, salads and new potatoes, and then the evening food would be one of our scrumptious hog roasts with all the trimmings. You may not know that we offer lots of variety and choice to our customers, so you’ll never have to settle when it comes to our catering services. Whether you’re having a wedding reception meal, birthday party or corporate event (or pretty much any other kind of occasion that you can think of), we’ve got your back with plenty of options to serve to you and your guests, for both formal and informal events. While our name exudes the food that we’re renowned for, we can bring so much more to the table, so to speak! That includes dishes for vegans, vegetarians and gluten-free guests, if needed, and if you have any other dietary requirements, please ask us about our many delicious options. Everyone should get to enjoy our food! 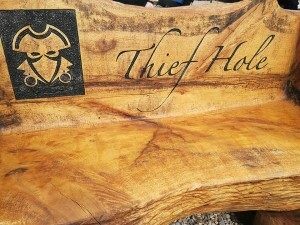 Our team arrived at Thief Hole Cottages on a gorgeous late spring day, and took in the wonderful views around the property before setting up our equipment and starting on the hog roast that would roast away for hours and then cooking a yummy barbecue for the daytime guests. 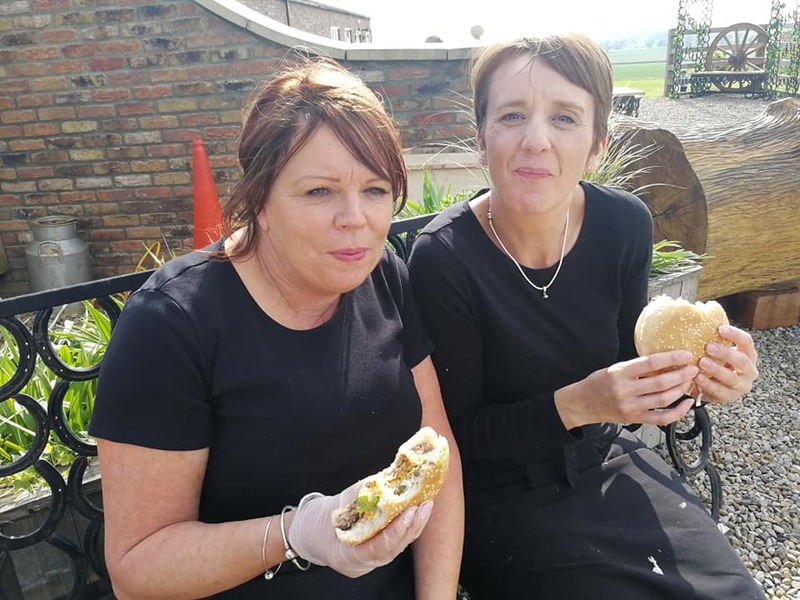 In-between services, our Andi and Sharon from Hog Roast Northallerton managed to enjoy a quick break in the lovely sunshine and then it was back to work, ensuring all the evening food was perfect for this special day too.